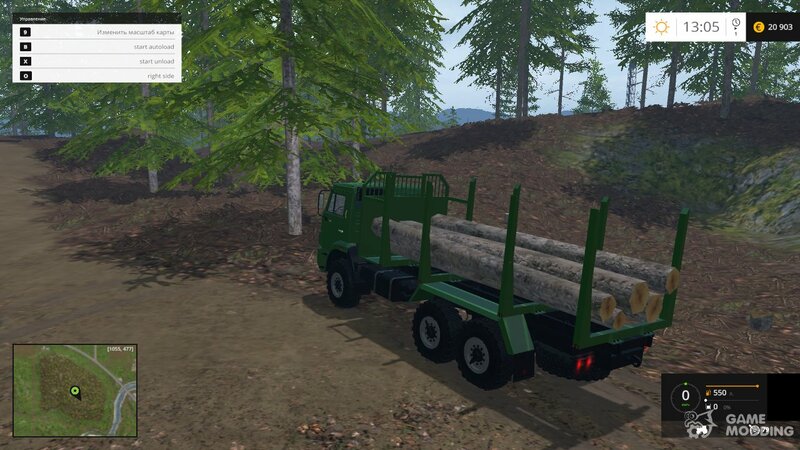 Mod for the transportation of logs with avtopogruzchik and avtoregressii. 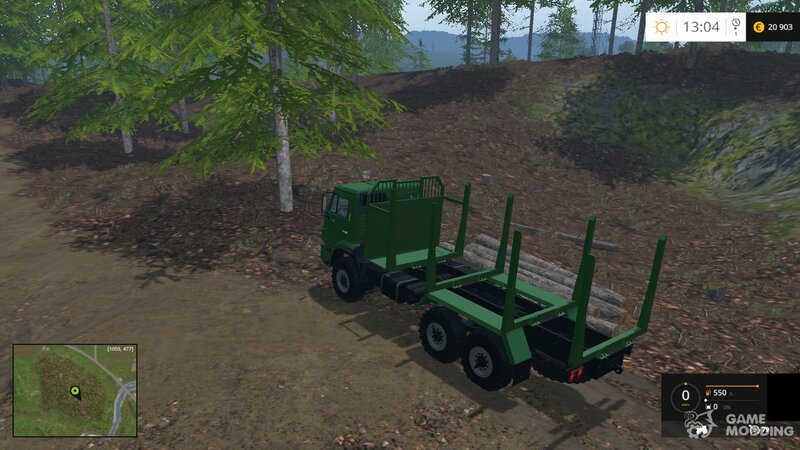 Find the mod You will be able in the category of "Modifications - Equipment for logging". 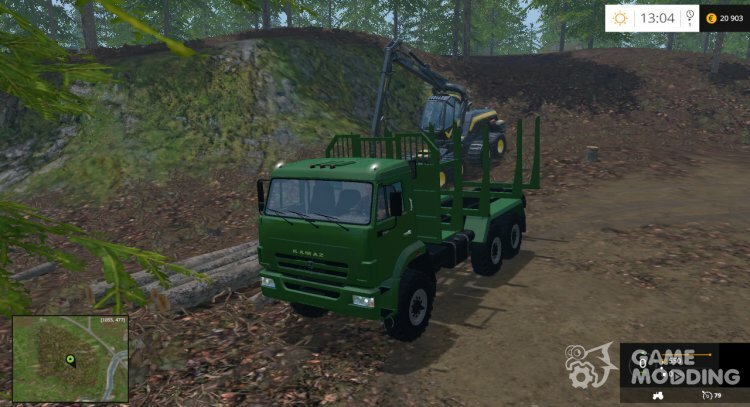 The Cost Of KamAZ - 38480. 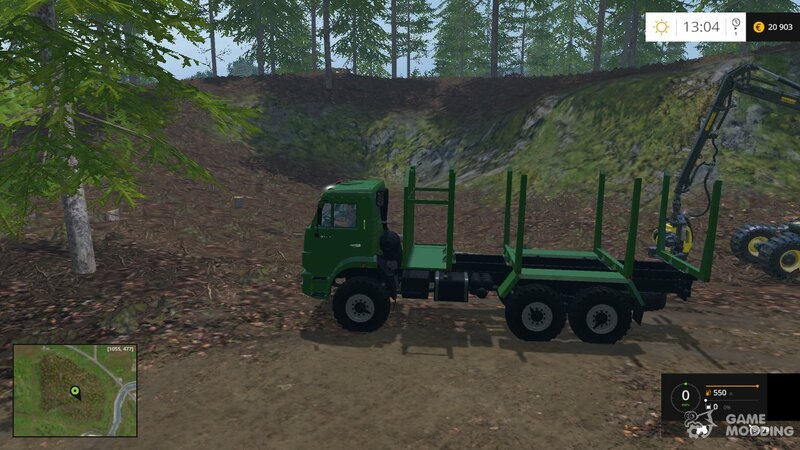 - The capacity of the truck is 240 horsepower. - Even being loaded, it accelerates up to 79 km/h. 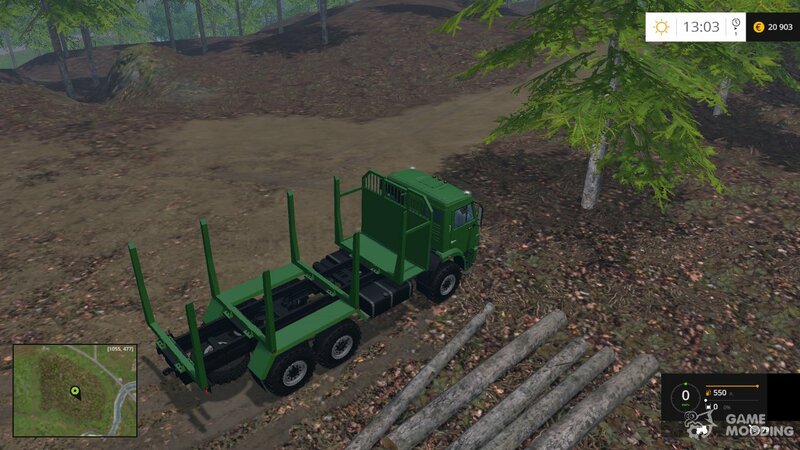 - Can carry logs long to 6 meters. - All lighting working, the dashboard is animated. 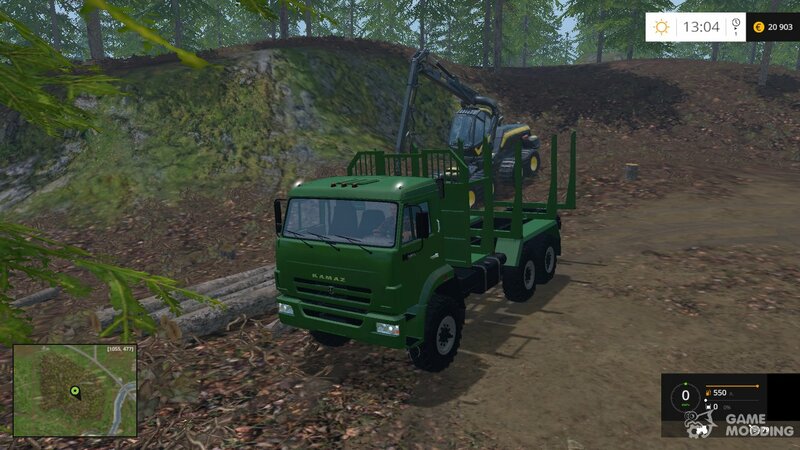 - Mirrors are working properly, the hands of a farmer animated. - There is an animation of the pedals and the mudguards. 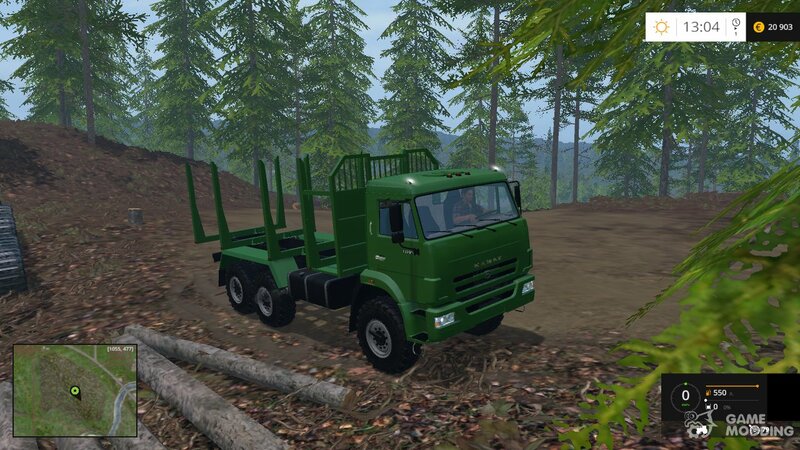 - If you buy fashion KAMAZ-44118 Timber you can choose the color of the car. - There is a dust, a few marks on the surface can be washed. - The key "In"(English). includes AUTOFIT logs. - The key "X"(eng.) 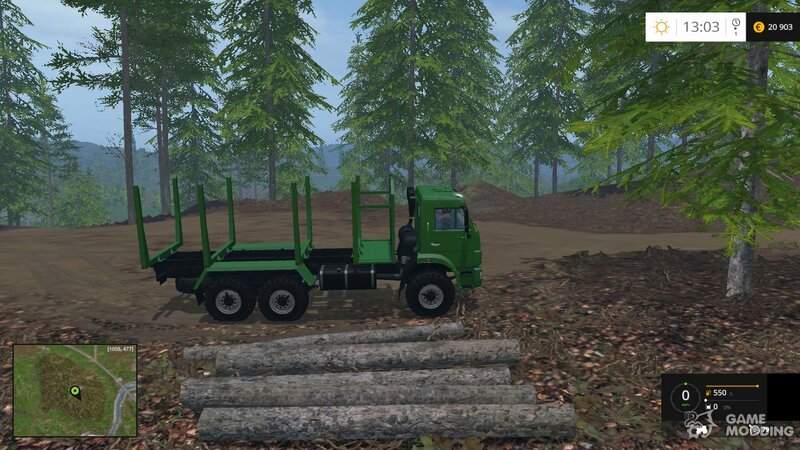 includes avtograzhdanka logs. - To choose the direction of selection and discharge (right or left), then press "O"(eng. ).